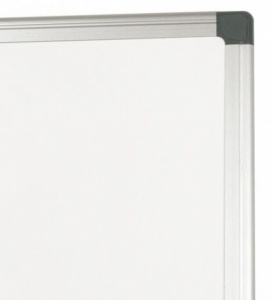 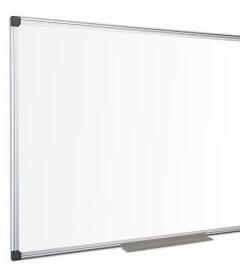 The Maya is a no nonsense Melamine drywipe whiteboard featuring a durable anodised aluminium frame. 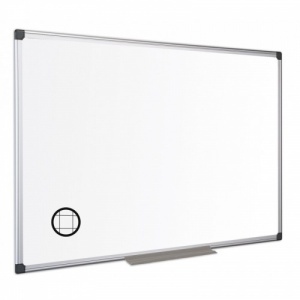 Available in a choice 7 size options the Maya non magnetic whiteboard comes complete with a aluminium pen tray and a wall fixing kit. 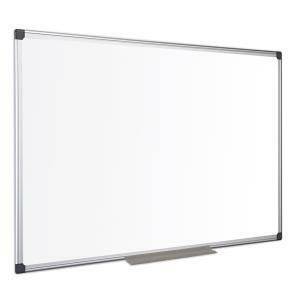 The face of the whiteboard has a faint printed grid which aids writing but is not seen by the audience.